In the digital age we live in, technology is everywhere. New systems and software innovations are changing how we communicate, drive, and even grocery shop. Not to mention all the apps that help you save money and gadgets that make life at home more convenient. Many of these tools are devices that connect to things you already own. Or, they are innovations you can access through the internet or an app store. Other, though, come in the form of wearable technology. Wearables are the next big thing. They exploded with various kinds of arm wearables, and have developed into much more than just tracking steps. Here are the best wearable options worth trying in 2018. Arguably, Fitbit is the most well-known brand of exclusively wearable technology. This exploded when the first model went to market and is still a popular option today. The basis of Fitbit was to help people become more active throughout the day. The original model would count your steps and give you a little nudge if it had been a while since you moved around. Today, Fitbit offers a wide collection of wearables that can do much more. Not to mention, there are plenty of beautiful Fitbit charge 2 bands available to customize the style of this awesome wearable. For the Apple-loyal wearable enthusiasts, the Apple Watch is a no-brainer. Wearing this is like having your iPhone on your wrist and all the functions of a Fitbit, too. The main difference is the health-centered features are run through the Apple health app. Still, syncing is a simple process and you can pull up everything on your phone to track your fitness process. Meanwhile, you can answer calls, send texts, check emails, and compete against the activity levels of your friends and family! Fitbit pretty much set the stage for wrist wearable technology, then Apple released their watch, and many others followed. Misfit, for example, is a stylish and simple wearable. This is a great option for consumers that want fashion-forward accessories that can still offer the benefits of wearable technology. When it comes to being fashion-forward, though, Michael Kors definitely knows a thing or two about that. The designer that is widely recognized for his beautiful bags and stunning silhouettes recently released a line of watches with upgraded technology. These are just a couple of examples of all the brands making watches more useful. What if you already have the tech-friendly watch you want, but you’re looking for other kinds of wearable technology? Maybe it’s time to get a pair of JBL Heart Rate Headphones. These do what the title suggests – track your heart rate. However, they are capable of much more. Wear these while you work out and sync your performance to the free UA Sport app that is available. This way, you can monitor the progress of your heart rate over time and the success of your workouts in general. The headphones can do this while you keep a steady pace on a run. They also track various movements and challenges in the gym. If you want to take your fitness performance to the next level, invest in a pair of Mytonec Mbody shorts. These are not your average compression shorts. On the contrary, the technology in this new wearable is made to track the electrical activity of your muscles while working out. This energy is known as EMG. Making yourself more aware of such measurements helps you find key areas of improvement in your activity levels. Originally made for cyclists and runners, the shorts are available for all. Try them on your next leg day or weekend run and see how you enjoy the fit and feedback! Speaking of running, consider trying Under Armour’s new RE Smart Shoes. These are built with wearable technology in the sole. As you move around while working out, the tracker beneath your feet is syncing everything via Bluetooth. You can then see the results of that day’s exercise on your phone, and compare it to the efforts you’ve done in the past. Such measurements allow you to truly get the most of your workouts. Not to mention, these shoes are the perfect option for those who aren’t fans of having any accessories on while they run or do other activities. Whether you’re a total fitness fanatic or not, everyone experiences stress. It’s a normal part of life, but sometimes, it builds up more than is healthy. There are already various ways to fight stress. With wearable technology, the choices are expanding even further. Introducing Pip, a stress management biosensor. This wearable makes you more aware of the things that stress you out throughout the day. The app that it syncs to gives you tips and tricks to relax in all the settings stress can appear – from the workplace to home to your personal relationships. Sometimes, your mood isn’t exactly stress. There may just be something bugging you that you can’t pinpoint. Still, it’s worth to encourage your best energy and wearables like Thync Calm can help. The cool thing about this device is that you don’t have to wear it 24/7. Simply put it on for about 10 minutes or so when you need a bit of a mental breather. Then, get back to your day! Maybe you have a bit of negative energy because you’re experiencing some discomfort in your body. This could be due to all the workouts you try with your new wearables. Or, it could simply be because of the time you spend sitting while you’re working – which is one common health issue of working from home. The longer you spend sitting at your desk, the more likely you are to hunch over. It doesn’t matter if you’re looking at a screen that’s right in front of you or drawing sketches or taking notes. You will naturally gravitate towards your work. Upright will bring you back. This wearable device goes on your spine and gives a gentle buzz when you hunch over. The buzz serves as a reminder to sit straight, which can improve your back pain significantly. Whether you’re going for a run or knocking out some emails, there is a wearable device that can help you get the job done. 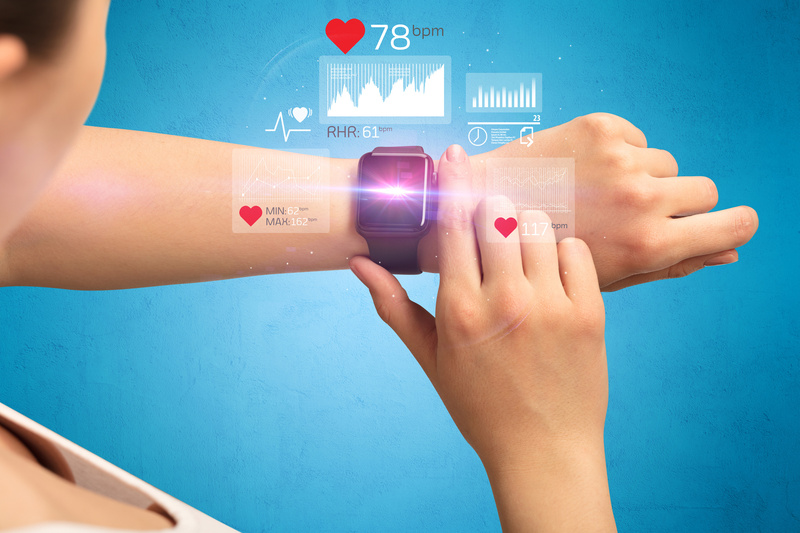 Wearable technology makes you more aware of your body and daily habits. The right use of just one of the options above, or a combination of them, can improve your overall quality of life significantly. This goes for work, play, and everything else you do at home throughout the day. Not to mention, there are so many other tools available to make working from home the best situation possible! For further more technology tips and tricks, click here.